Welcome to my weekly post featuring photos that didn’t make it into Queer Rock Love, but probably should have. 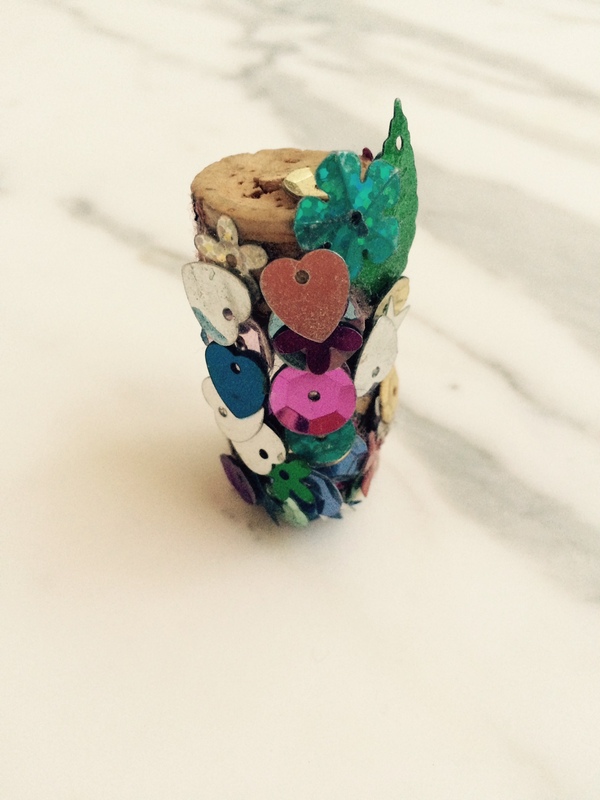 One afternoon, Waylon was engaged in an art project of his own devising, which involved gluing a bunch of sequins to a cork. As he was working at the kitchen table, I heard him singing a little song that went “God is inside of every thing, God is inside of everything, God is inside of everything!” The melody sounded a lot like the Ramones, but the lyrics gave me pause. “Who taught you that song? Did you learn that in Sunday school?” I asked. I realized I had no clear idea what he learned when he attended the children’s activities at Trinity. “Oh, okay. That’s good.” I picked up a few stray sequins and put them back in his pile. “Mom,” he said, still gluing. Ready to read more about a gay, trans, rock-n-roll family raising a son in the South? Order the book or come to Naked Girls Reading Austin this Saturday to hear an excerpt read by a real, live naked girl. Paige Schilt is a writer, teacher, activist, mother and band wife. Her stories about queer family life have appeared on The Bilerico Project, Brain Child Magazine and Offbeat Families. Enter your email address to follow Queer Rock Love and receive notifications of new posts by email.